This documentation describes how to use Axe Core to send Axe anonymously. 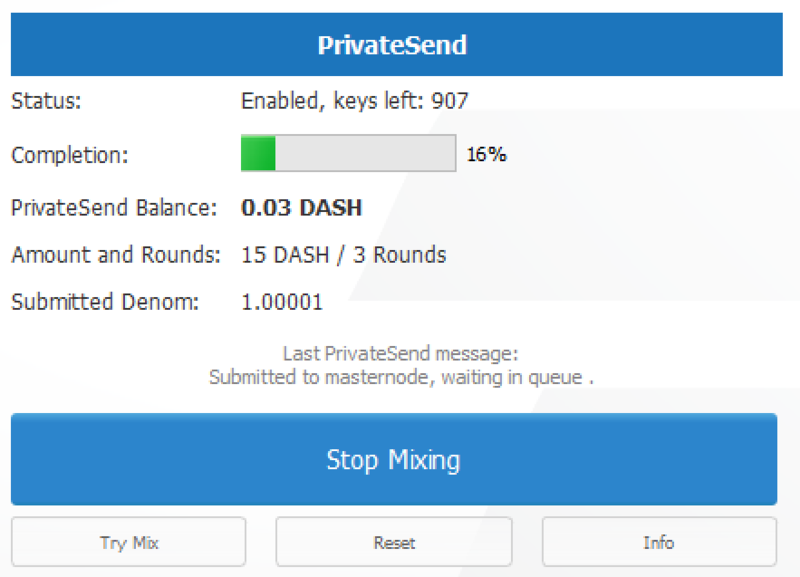 PrivateSend, released as DarkSend in RC4 of the DarkCoin client and rebranded to PrivateSend in May 2016, is a trustless method of running a sequence of transactions (known as “mixing”) such that an external observer is unable to determine the source of funding when a PrivateSend transaction is created. This gives your Axe the same anonymous properties as cash withdrawn from an ATM, for example. The mixing and denomination process is seamless, automatic, and requires no intervention on the part of the user. 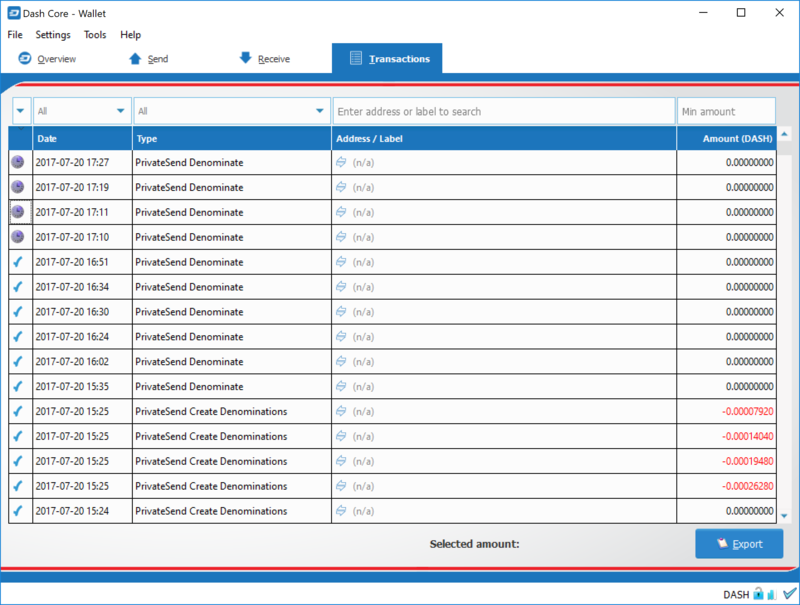 The current implementation of PrivateSend in the Axe Core wallet allows any amount of Axe to be mixed for later use in PrivateSend transactions. As of December 2018, PrivateSend is not currently available in other Axe wallets. Open your Axe Core wallet, go to Settings and select Options. Go to the Wallet tab. NOTE: To prevent system abuse, an average of one in ten rounds of masternode mixing incurs a fee of .0001 AXE. 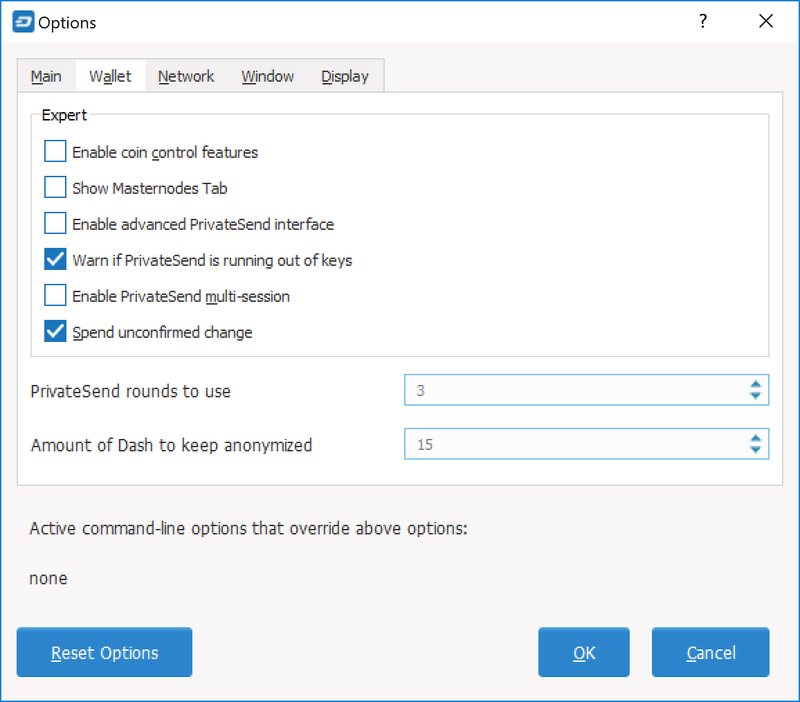 Enter a target value for Amount of Axe to keep anonymized. This value provides a lower boundary on the final amount of funds to be anonymized. Depending on how the client splits your wallet balance, you may end up with denominated inputs whose sum total is greater than the target amount. In this case the client will use all existing denominated inputs in the PrivateSend process. The final anonymized amount may be higher than your target, but should be close. PrivateSend is disabled by default when you open the wallet. It will only start after you set the number of rounds and number of Axe to mix under settings and click Start Mixing on the Overview tab of your wallet. 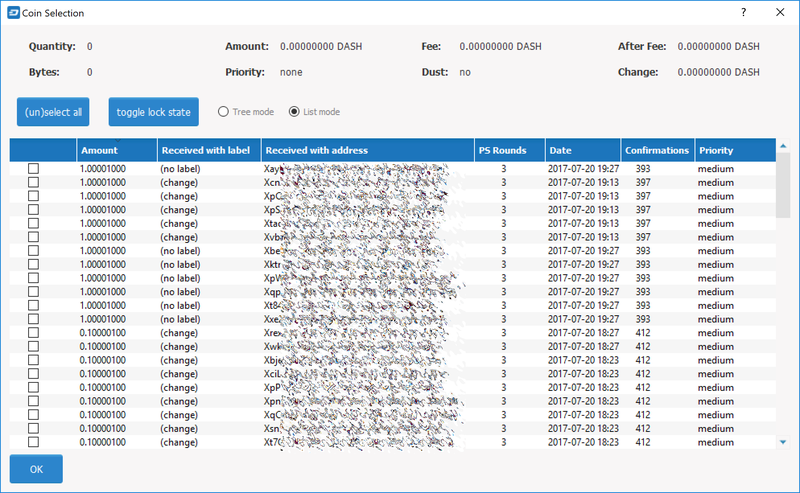 You can also use the coin control feature to view which addresses hold mixed denominations ready to be used for PrivateSend transactions. 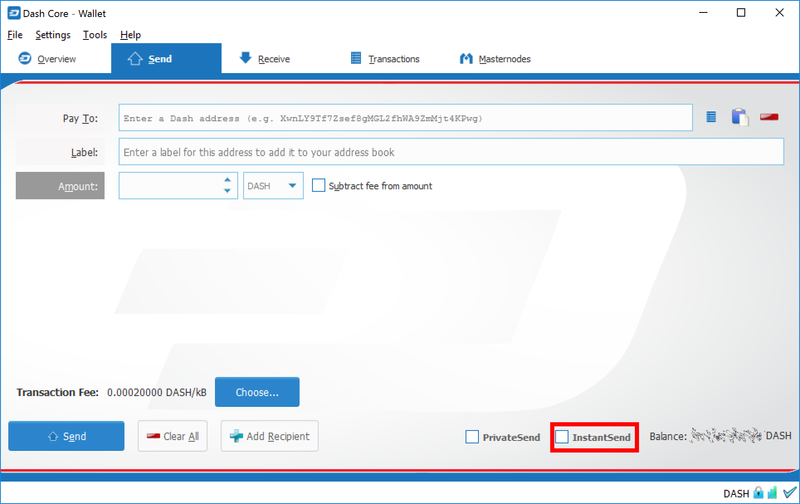 Go to the Send tab of your wallet and click Inputs to view the possible input addresses for your transactions. You can see how each address holds given denominations of mixed Axe, and how many rounds of mixing have been completed. This is to ensure that an efficient combination of addresses can be used as inputs in PrivateSend transactions without too much change, since amount in a PrivateSend transaction must be rounded up to completely spend all inputs. The current minimum balance for an input used in a PrivateSend transaction is 0.00100010 AXE. 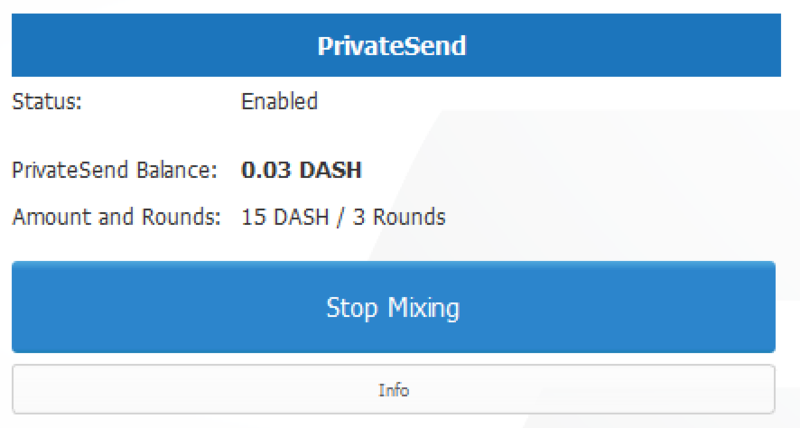 You can only use PrivateSend for payments once you have mixed enough Axe to make up the amount you are trying to send. Because the mixing process takes time, it must be done in advance before you create the send transaction. A PrivateSend transaction is effectively the same as any other transaction on the blockchain, but it draws only from input addresses where the denomination has previously been mixed to ensure anonymity of funds. Because several input addresses are usually required to make up the amount you are trying to send, a PrivateSend transaction will usually take up more space (in kilobytes) on the blockchain, and therefore will be charged a slightly higher fee. To send a payment using PrivateSend, go to the Send tab of the Axe Core wallet and enable the PrivateSend option. The balance displayed will change to show your PrivateSend balance instead of the total balance. You can then enter the Pay To address, Label, Amount and click Send as usual. Your payment will be rounded up to completely spend the lowest possible denomination of mixed balance available (currently to the nearest 0.001 AXE). You will be prompted to enter your password and receive a detailed breakdown of the fee structure for PrivateSend before sending. 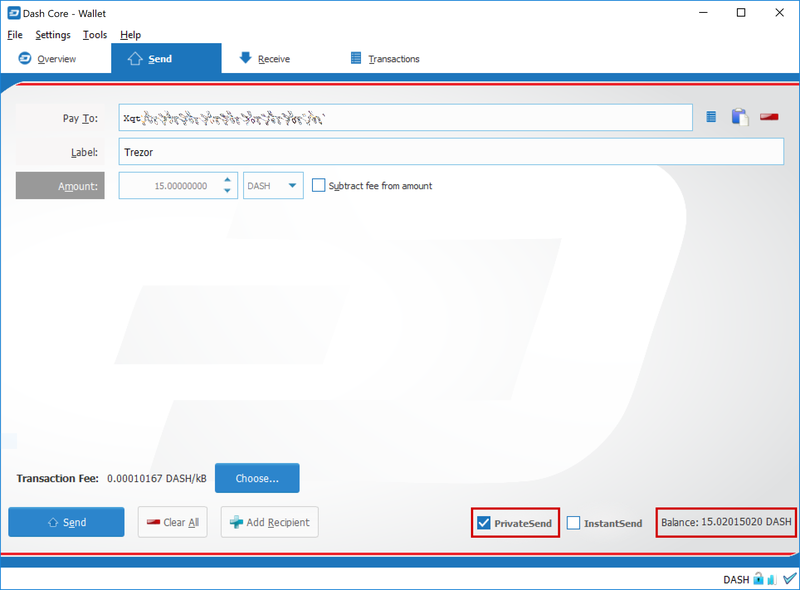 InstantSend functions by setting a flag on the transaction, causing deterministic selection of a quorum of 10 masternodes for each input spent in an InstantSend transaction. The masternodes examine the input, and if a majority determines it has at least six confirmations, they then accept the transaction. The input is then locked until the transaction has been confirmed in six mined blocks, at which point the output can be used as an input in another InstantSend transaction. This differs from inputs used in normal transactions, which can be spent after just one confirmation regardless of whether the Axe was received using InstantSend or not. A higher fee will be charged for InstantSend transactions with more than four inputs, according to the fee schedule. 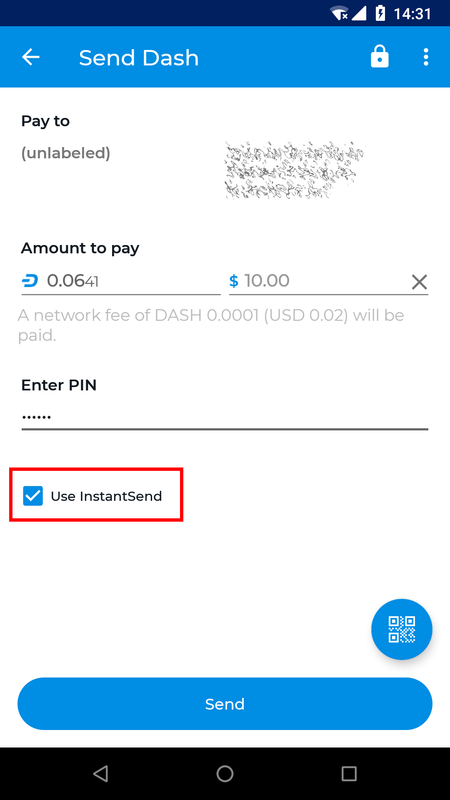 Note that the receiving wallet must also be aware of InstantSend in order to be able to immediately continue with the transaction or display an appropriate notification that the transaction should be considered locked. 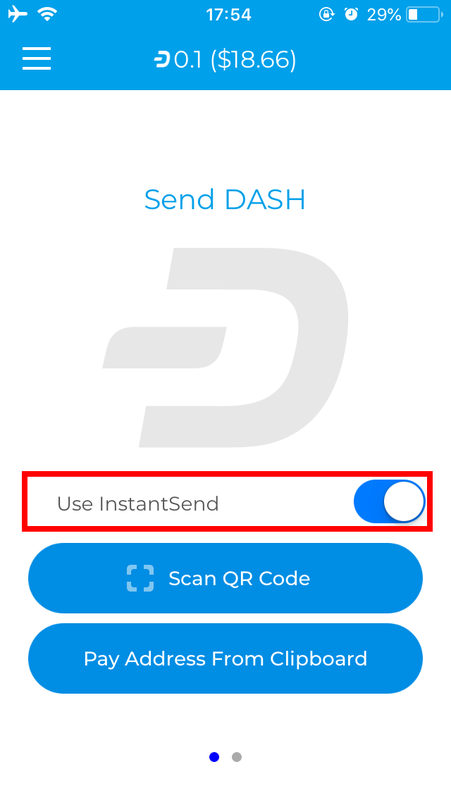 If the receiving wallet is not aware of InstantSend, it will simply appear as a normal transaction and you will need to wait for standard block confirmations. To pay with InstantSend, simply check the relevant checkbox in your app. The following screenshots indicate where this setting can be found in the Axe Core, iOS and Android wallets.